Shaggy’s already immense popularity continues to rise. After fans launched a petition to get the famed Scooby-Doo character added to Mortal Kombat 11, Shaggy memes began flooding the web. Now Shaggy, along with fellow Scooby Gang member Fred Jones, has appeared in Red Dead Online as a fan-created character. Even the Mystery Machine makes something of an appearance. 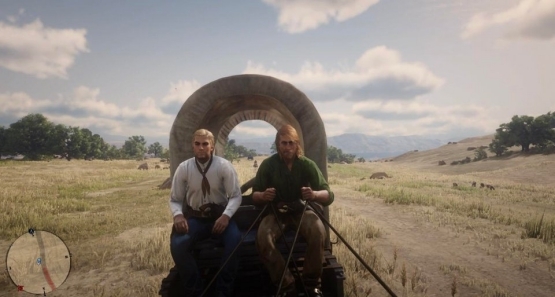 It’s impressive that someone was able to faithfully recreate the two cartoon characters using only Red Dead Online’s character creator. The sole inaccuracy worth noting is that Fred would likely be the one driving the wagon (the Mystery Wagon?). Otherwise, the details, what little are necessary, are incredible. Even Fred’s ascot made the cut. Since the likelihood of Shaggy appearing in Mortal Kombat 11 could not get any lower, fans are better off cherishing player-created versions of him in games. 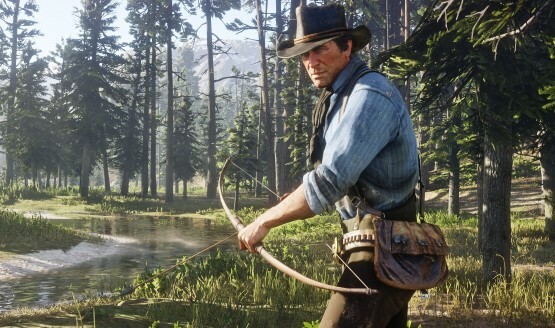 This Red Dead Online presence is a good example. Still, this hasn’t stopped some from having fun with the idea of Shaggy fighting the likes of Sub-Zero and Sony Blade. MK11’s Creative Director Ed Boon joined the fun, first dousing hopes, then later adding fuel to the fire by sharing fan art of Shaggy in Mortal Kombat. Will this Shaggy fever soon come to an end? It’s hard to tell. For now, however, it seems unlikely.